The Evangelical Dictionary of Theology defines the law as “not a system of merit whereby the unsaved seek to earn divine favor but a pattern of life given by the Redeemer to the redeemed so that they might know how to live for his good pleasure.” Walvoord describes law generally as “any working principle, usually moral, regulating conduct, being binding either because revealed by God, established through custom, a part of man-made law, or a principle of operation true in the nature of things.” Bruce states, “The law was God’s law; it was the revelation of his will. 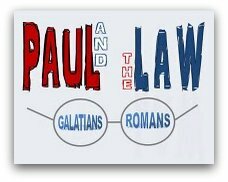 To keep the law was to do the will of God.” The word law as used in Paul’s writings to the Romans and Galatians can be translated several ways, including the broad sense of moral, civil, or natural law and the narrowest sense of the Mosaic Law given in the Old Testament. Paul’s view of the law as put forth here encompasses all of these meanings, albeit in varying circumstances and usage. First century Judaism had a large influence on Paul’s theology and preaching; he was, after all, a “Hebrew of Hebrews; as to the Law, a Pharisee” (Phil. 3:5 [NASB]). Obviously, Paul was raised by the law and knew it in the depths of his being. As a Pharisee, Paul (then Saul) was expected to follow the Law to the last jot and tittle – and he claimed to be “found blameless” (Phil. 3:6). Once Paul became a Christian, he realized his mistaken view of the relationship between the law and righteousness (Phil. 3:9; Rom. 9:30-33). Bruce points out, “No longer did he [Paul] rely upon the law and boast of his relation to God as one who had been born a Jew; no longer did he make his aim the attainment of that righteousness before God which was based on keeping the law. He had found a new way of righteousness, based on faith in Christ.” As Saul, he viewed the law as something that, when followed, ascribed righteousness. However, to Paul, a new creation in Christ, it was something that was actually capable of keeping someone from true righteousness. 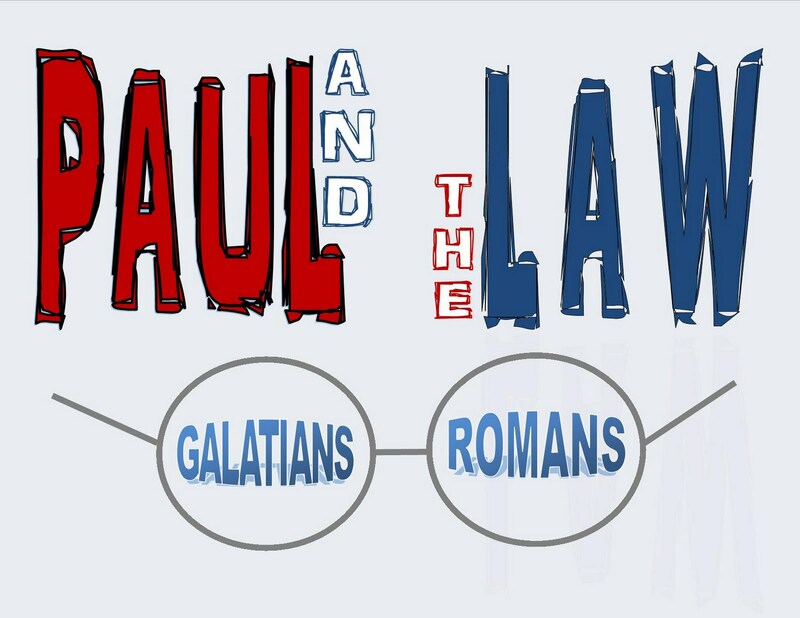 As Paul wrote to the Galatian and Roman churches, he wanted to clarify his view and ensure that these new believers understood the law for what it really was. While the expression "works of the law" in Galatians primarily refers to circumcision, dietary prescriptions, and the observance of certain Jewish days, we might say that it ultimately signifies anything imposed as necessary for salvation above and beyond what God has accomplished in Jesus Christ. In an excellent textual analysis of the Greek, Cranfield concludes (against Dunn) that “έργα νόμου…denotes (the doing of) the works which the law requires, obedience to the law.” Paul viewed works of the law as anything that changed the gospel from its basic tenet of grace alone through faith in Christ alone. Attempting to gain righteousness by doing “works of the law” was missing the point of God’s grace. He berated the Galatians for falling prey to a false gospel (Gal. 1:6-9); he then proceeded to explain the true gospel and its relation to the law. Hope you are enjoying this! Next up: the law is GOOD. J. A. Motyer, “Law, Biblical Concept of,” in Evangelical Dictionary of Theology, 2nd ed., ed. Walter A. Elwell (Grand Rapids: Baker, 2001), 675. John F. Walvoord, “Law in the Epistle to the Romans,” Bibliotheca Sacra 94, no. 373 (January 1973): 16. F. F. Bruce, Paul: Apostle of the Heart Set Free (Grand Rapids: Eerdmans, 1977), 189. D. A. Carson and Douglas J. Moo, An Introduction to the New Testament, 2nd ed. (Grand Rapids: Zondervan, 2005), 375. All Scripture references are taken from the New American Standard Bible (NASB), unless otherwise noted. Charles Caldwell Ryrie, Ryrie Study Bible: New American Standard Bible (Chicago: Moody Publishers, 1995). Frank Matera, “Galatians in Perspective: Cutting a New Path through Old Territory,” Interpretation 54, no. 3 (July 2000): 245. C. E. B. Cranfield, “‘Works of the Law’ in the Epistle to the Romans,” Journal for the Study of the New Testament 43 (Summer 1991): 100.